In our previous post, we talked about how pesticides have altered our food supply to make it toxic to our bodies. Conventionally grown produce becomes toxic because of the high content of pesticide residue that remains after harvesting and that won’t go away by washing it. Anyone for a salad with a side of toxins or possible carcinogenics? Even if you don’t have the bucks to buy organic produce exclusively, consider buying organic at least those 14 items mentioned in our previous post “Toxic Food.” The Environmental Watch Group (EWG) found up to 88 different pesticide residues in those 14 produce mentioned. THE LESS – TOXIC PRODUCE LIST. SAVE MONEY: Produce you may not have to buy organic. As an exception, the produce listed below have fewer pesticide residues. 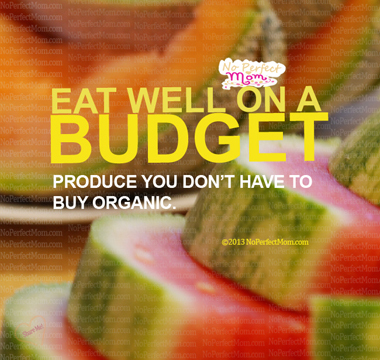 If you can’t afford to buy everything organic, you can buy conventionally grown produce from the list below. These were found by EWG to have very few toxic residues.